Irrespective of any individual sector in which our clients operate, everyone is subjected to some kind of regulations whether it relates to their specific sector in which they operate or common matters like taxation, banking, land acquisition etc. Business transaction, license, permits and all other activities of a business concern or individual are often get exposed to different regulatory issues and disputes due to action or inaction of concerned public authority. Procedural violations or administrative actions were taken in malice arbitrarily, unreasonably etc can be quickly resolved by judicially reviewing the same popularly known as filing writ petition before Hon’ble High Court, where there is no other efficacious alternative forum available. 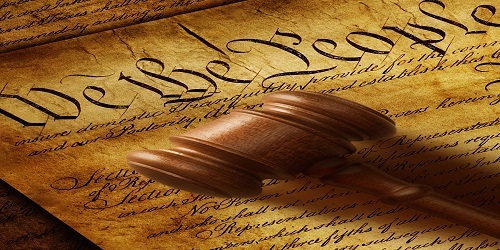 Effectively and successfully bringing a judicial review case requires in depth knowledge of the laws of a particular sector and also experiences. From very inception, our firm is dealing with writ petition involving a number of sectors, for examples, Customs, Banking, Securities, Land, Taxation, power & energy for having in-depth knowledge and understanding of the laws & regulations of the power sector. 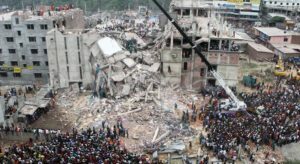 The Chambers is involved with the judicial review filed against owners of “Rana Plaza” and few public authorities for compensation involving the tragic death of 1000+ people due to collapse of the defective building. Successfully challenged the decision of Titas Gas of giving the Gas connection a member of factories from an exclusive line constructed by a Japanese Co. Handled a number of Writ petition involving electricity connection for a power sector co. Successfully handled a number of contempt petition arising from failure to obey order passed by Hon’ble High Court involving different sector for a course of 10 years. Successfully resolved writ petition for a power sector entity involving arbitrary cancellation of customs exemption. Successfully argued & filed a writ petition challenging the auction published by the National Bank Ltd, against Janata Engineers Vs. Bangladesh Bank Ltd & Nilufa Rice Mlls Mr. Rahman Vs Bangladesh. Writ petitions are often filed against the central bank for issues involving action under section 12 of the Artha Rin Adalat Ain, CIB classification, cash incentive payment, renewal of license. Further, writ petitions are often filed seeking interference of central bank against LC matters misleading of issues by the commercial bank, on regular basis. On the other hand, writ against learned Artha Rin Adalat order and Execution order in particular body warrant is very common. The Chambers has vast experience in dealing with banking writs for over 10 years. Writ petitions are not very uncommon against Securities and Exchange Commission’s rejection to grant permission for raise capital, listing, release from lock-in period etc. Several writs are filed where no other alternative remedy is available against Land authorities on various issues involving demarcation, mutation, acquisition order, etc. The chambers have experience of dealing with such writ for a Textile Company. Chambers has knowledge and experience of dealing with several VAT & Customs related writ petition where no appeal lies and/or where the tribunal is not a suitable forum for adjudication. 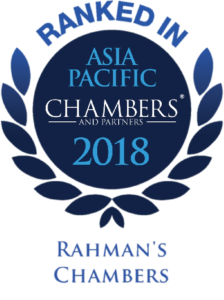 The chambers have successfully conducted a writ on customs exemptions for a power sector company and have also been successful on challenging the imposition of VAT based on assumptions for a Melamine Company & also on the failure to assess goods for leading garments manufactures. Acting beyond authority and failure to provide natural justice, arbitrariness etc.is common ground for a writ in this sector. Issues like the cancellation of license, the connection of gas, cancellation of connection of electricity line are common issues for writs involving power & energy sector.